Designer Miquel Mora looks at the new techniques of printing electronics and wonders “What if we could ‘enhance’ paper instead of getting rid of it? What if we could merge the printed world with the digital one?” He says “Through printed electronics we can create processors, displays, batteries on flat and flexible surfaces like paper. 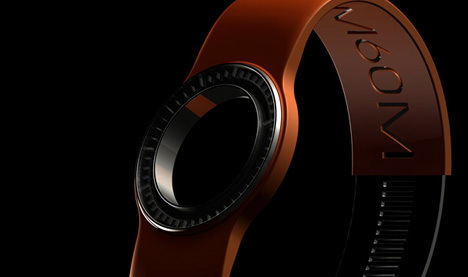 Designer Arnaud Lapierre designed a prototype watch in conjunction with Swatch. 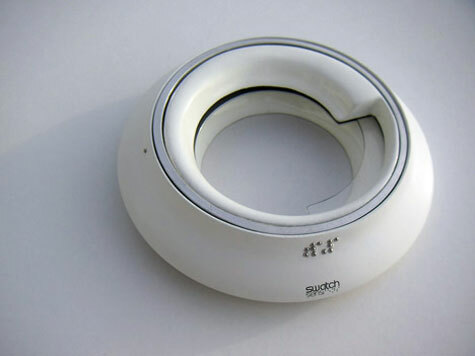 The end result is a double ring ceramic device that tells time by touch called Sens. Really excellent retro-modern wall clock from Dutch designer Frank Clewits for design house Puhlmann. 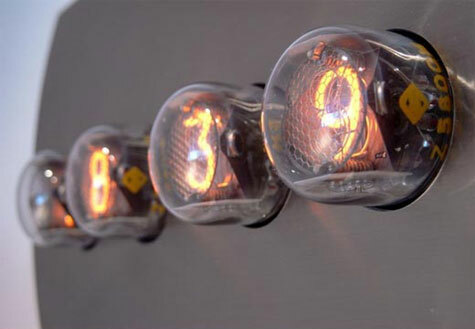 To tell time, the clock uses some unique, forward-facing Nixie vacuum tubes that poke out of the face of a brushed steel plate. It’s decidedly contemporary, but with a serious steampunk feel to it. Dawn is a clock whose alarm is a light which shines progressively brighter at any chosen time. If your sleep is particularly deep, you may also require it rings once the light has reached its maximum intensity. 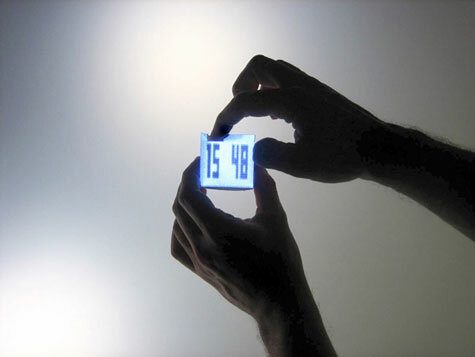 Binary time for your wristThis watch displays time in binary format. 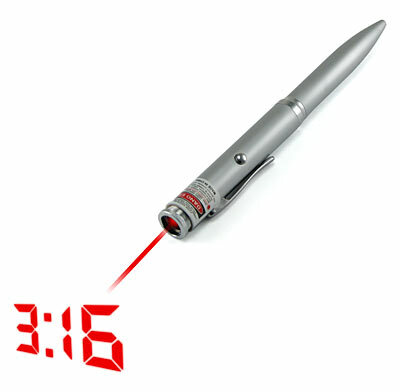 It uses LED lights to display the time. 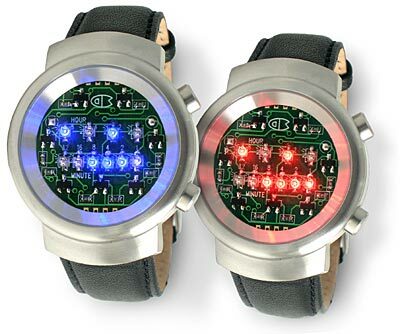 The watch face contains 10 red LEDs that are used to indicate the numbers of the binary sequence (1, 2, 4, 8, 16, 32) and the values of the lighted LEDs are added to determine the time. 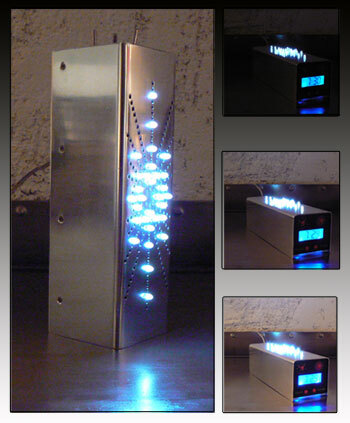 There are two rows of LEDs - the top row for the hours and the bottom row for the minutes. With a little practice you can learn to read this time format easily. Won’t it be fun the next time someone asks you “what time is it?” and you can enjoy their bewildered expression when you flash your wrist emblazoned with glowing binary? Yes it will, you quietly smirk to yourself.